Bush’s Foundation for Excellence in Education supported the measure, which provides vouchers for parents of children with special needs to spend $6,500 a year in public money on private schools and services. The pilot program will cover 500 students the first year, then add 500 a year until it reaches the five-year mark, at which point it would have to be reauthorized by the Legislature. Mississippi has more than 66,000 public school students with disabilities, and ranks last in the nation for their graduation rate, at 22.5 percent. While governor of Florida, Bush helped create a similar program, the first of its kind in the U.S. It started as a pilot project as well, but now more than 28,000 Florida special-needs children attend private schools using scholarships. 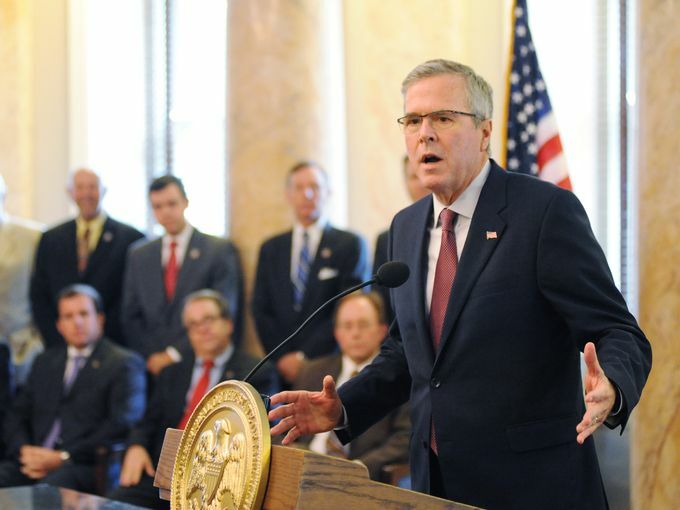 Bush spokeswoman Kristy Campbell said Bush is attending to “highlight Gov. Bryant’sleadership and commitment to expanding parental choice and opportunities for students with disabilities.” She said Bush believes providing such choices to parents allows them to meet their children’s unique needs.